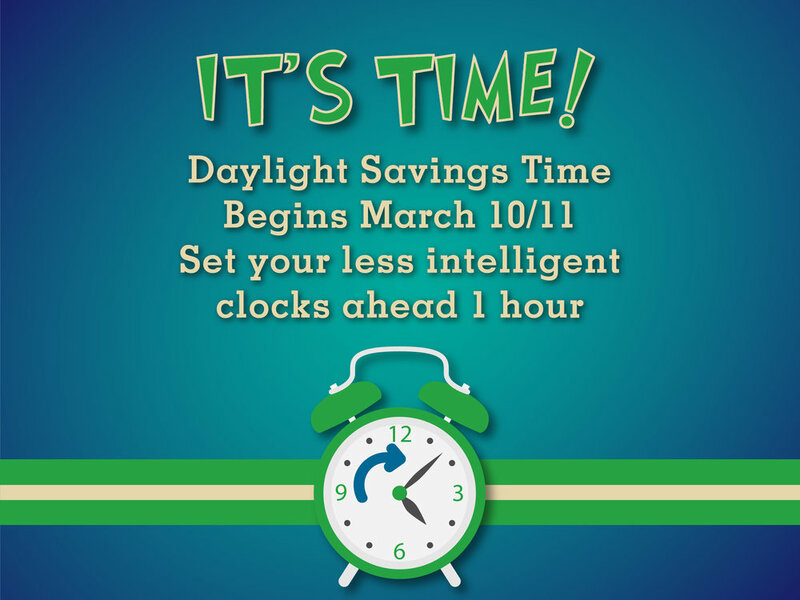 Daylight Savings Time begins the weekend of March 10/11. Set your clocks (if it doesn’t happen automatically) forward one hour when you go to bed. Services will start at the normal times of 9am & 10:45 am, although your mind and body will think it's earlier.